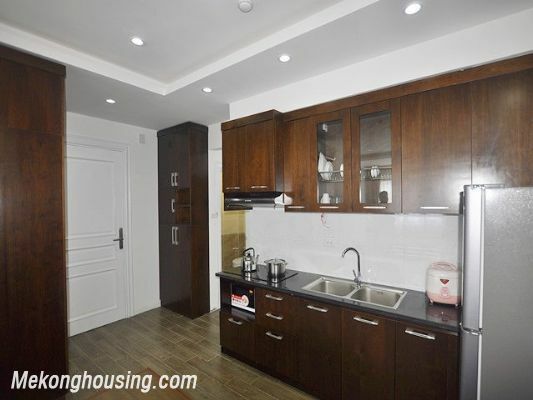 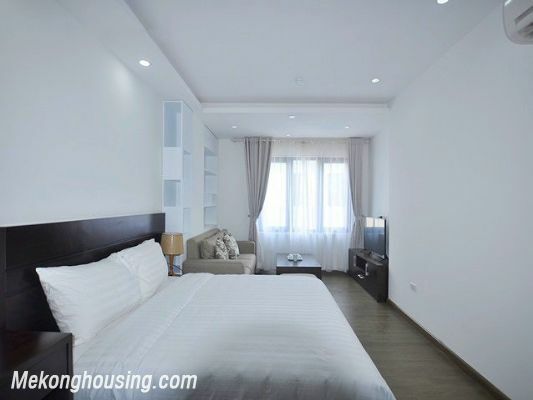 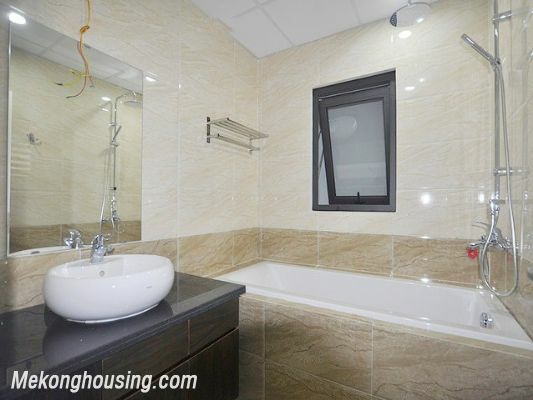 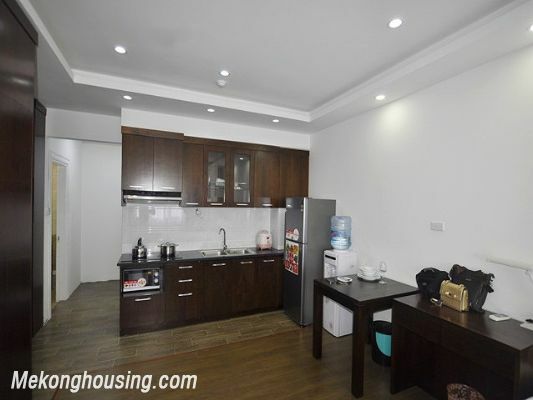 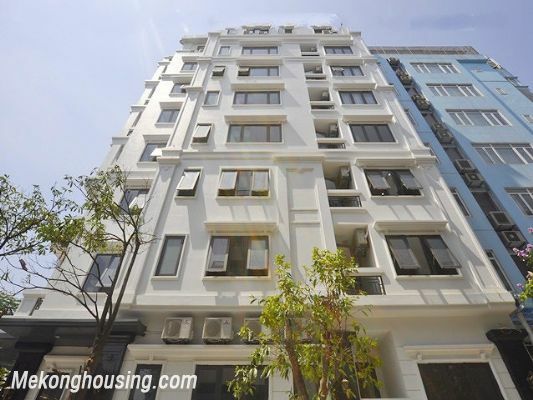 Fully furnished studio serviced apartment for rent in Cau Giay, Hanoi. 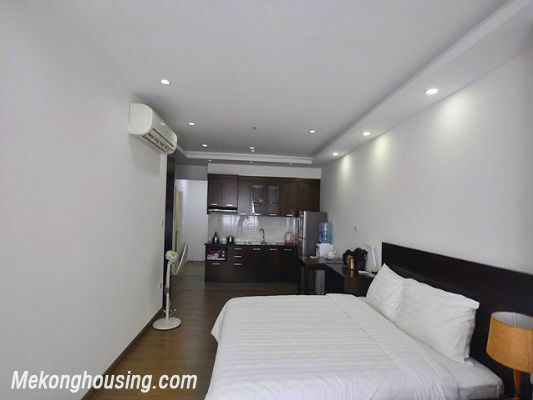 Total living area is 45 sqm and composed of a bedroom, a bathroom, a modern kitchen. 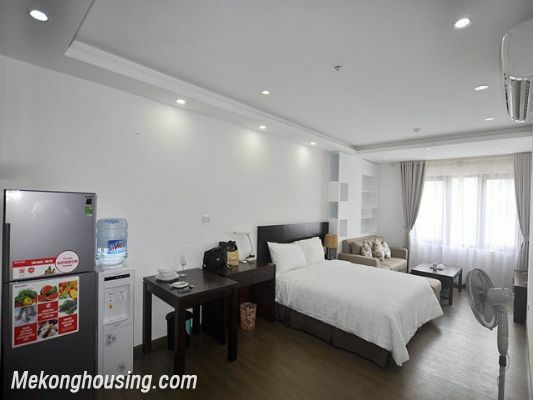 The apartment is equipped full furniture and high quality equipment. 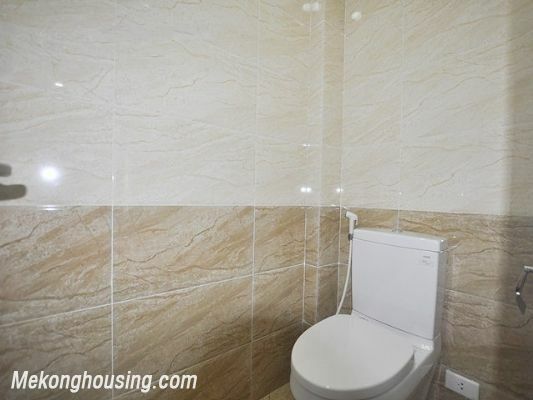 It belongs to the building where has elevator for moving and security 24/24.